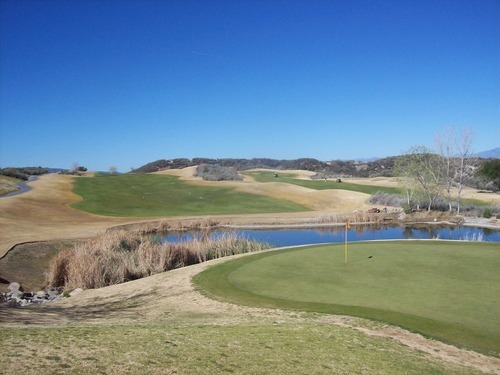 Note: This course has since changed its name to Sand Canyon Country Club. 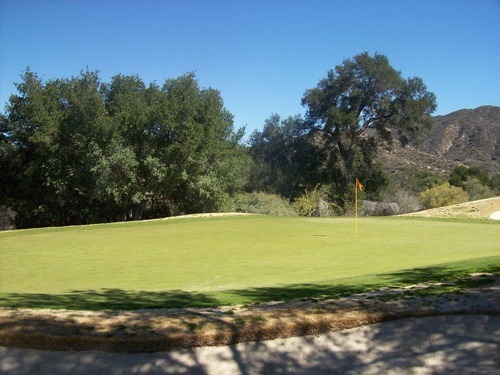 They also closed nine holes of the original Mountain nine and currently play with a 27-hole rotation. 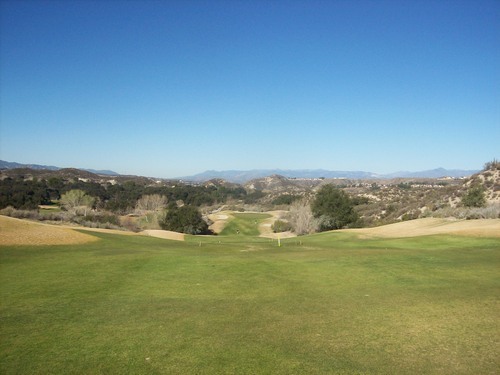 To round out this past weekend full of great golf, I headed up to Robinson Ranch Golf Club in Santa Clarita, CA. I had an unlimited play voucher that was about to expire this week and finally had a chance to use it. 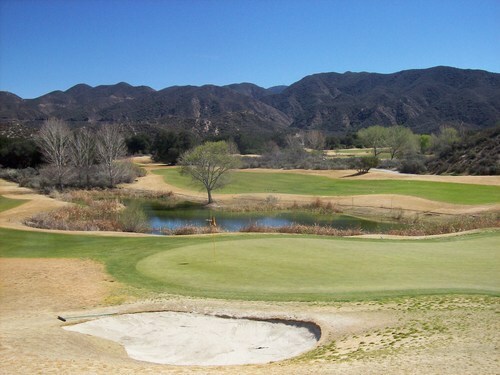 I purchased it through GroupGolfer.com a few months ago for $55 and it was a steal of a deal for this excellent facility. Their normal weekday rates are $59, so to have an unlimited play day made it worth every single penny. 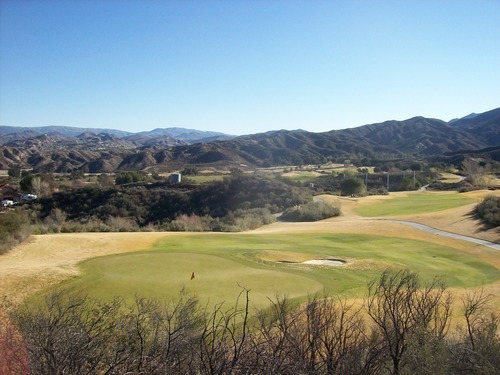 Unlimited play at Robinson Ranch is especially appealing because they feature two great courses here—Valley and Mountain. I found both to be very enjoyable. I got out there early in the morning to try my chances as a walk-on. They were able to get me right out on Mountain. I was paired with a twosome and we were the second group off the tee, so it was a great early morning round. 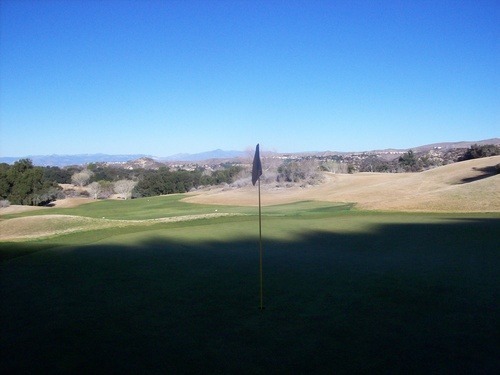 It was very chilly for the first few holes, but once the sun was over the hills it warmed up quickly and turned out to be a gorgeous day for golf. 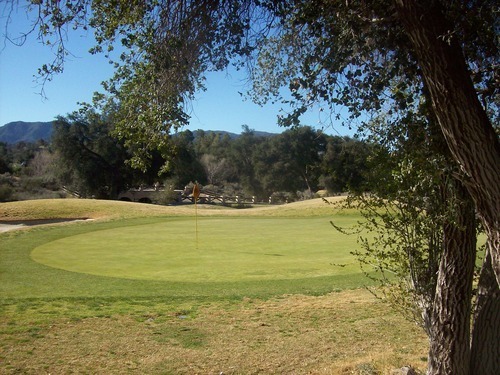 We finished around 10:45, so I checked back in with the pro shop for my next round on Valley. He gave me a concerned look as if the tee sheet was super full, but then said I could head on out to the first tee immediately. I was actually hoping to have a few moments to regroup and maybe grab a bite to eat, but heading out immediately sounded better than having to wait much longer. 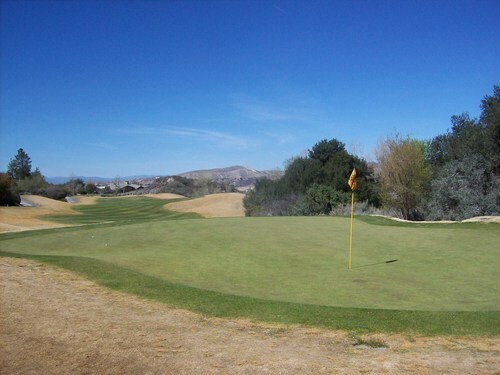 I was paired with another twosome and the pace was a little slower for this round, but still not bad. Those guys bailed on me after 9 holes, but I joined up with another twosome ahead of me at the turn and played the back nine with them. The Valley round took about 4:20, so still not bad at all on a fairly busy day. 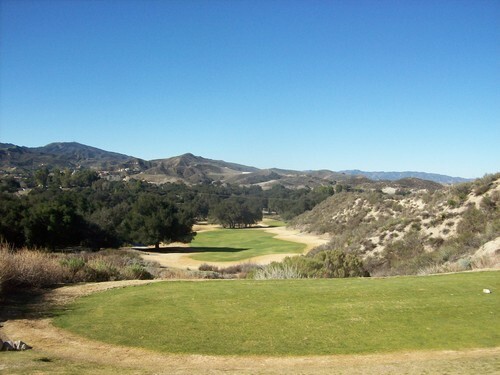 I’ve been wanting to play at Robinson Ranch for a long, long time, but for various reasons never had the opportunity until now. With this deal, things couldn’t have worked out better. I’ve always heard great things about this place and it more or less lived up to my expectations. 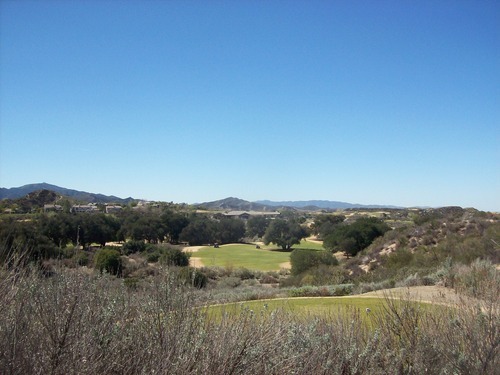 Both courses at Robinson Ranch share a lot of similarities. 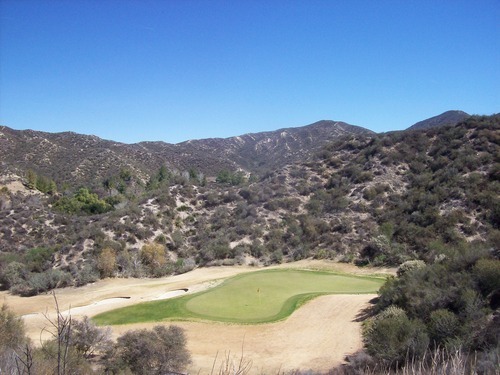 They feature a nice secluded and rugged canyon setting, great views of the valley below, fun changes in elevation and challenging layouts that will never leave you feeling bored at any point in your round(s). 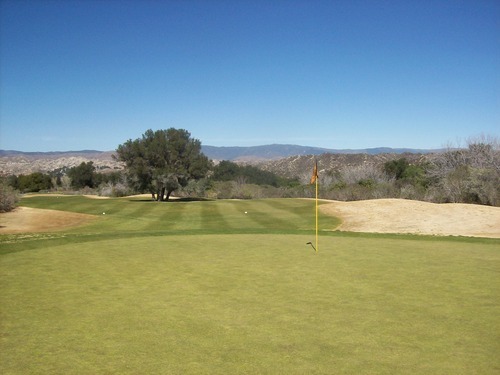 The greens on both courses are very tough and can be frustrating at times. They are hilly and hard to read. I found them to be a little disorienting all day long. Architect Ted Robinson did his best M.C. Escher impersonation when crafting these green complexes. 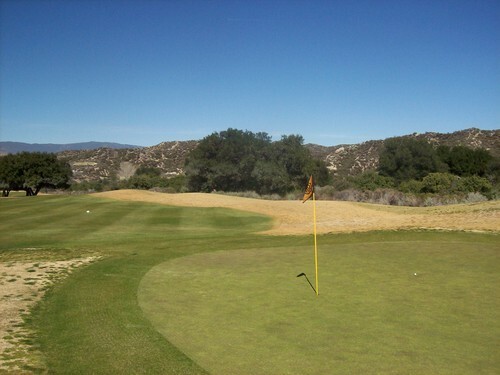 No matter which side of the hole you are on, you are left with an uncomfortable shot. Whether it’s a bunker shot, a chip, a short pitch, a long approach or a putt, it seems you are always coming in from the “wrong” angle, making for many awkward moments. 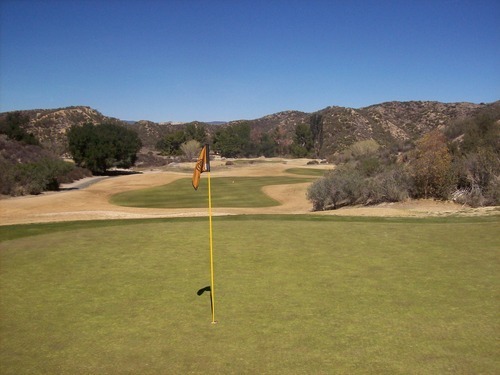 It’s very hard to get close to any pins out here (especially considering the greens are notoriously firm and can be hard to hold), but this challenge and frustration adds a bit of sadistic fun, as well. 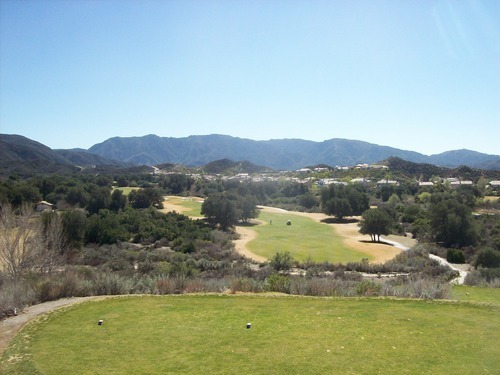 Mountain is a shorter and tighter course than Valley, which plays longer and a little bit (but not that much) more “open.” The Mountain course is true target golf. Many longer hitters will choose to leave their drivers in the bag on all but a few holes. Otherwise, it’s all about placement off the tee and making sure you not only have a good lie to hit from, but a good angle of approach as well. 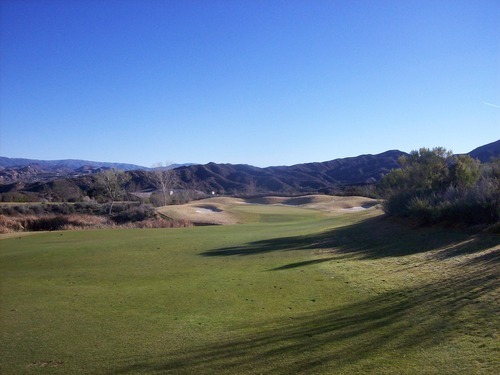 The fairways are tight, have some severe slopes and there is plenty of trouble to get into if you are at all off-target (bad shots will send you into the desert scrub, a canyon or a water hazard). 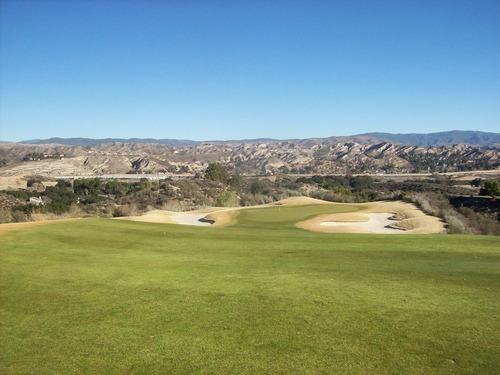 Big mounds can be found running along either side of most fairways that can be equally helpful and harmful. By that I mean if you catch the right side of the mound, it will often kick your ball back into the fairway. 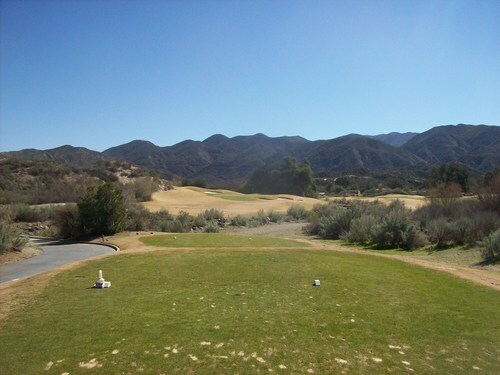 If you hit the wrong side, though, you’ll likely lose your ball. 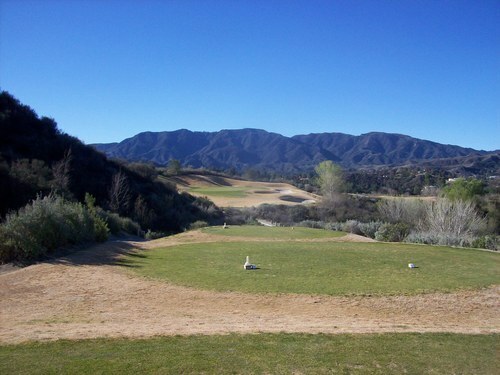 In these respects, Mountain is less forgiving than Valley if you hit a poor shot, but since it plays shorter, you can afford to be more prudent with your strategy. There is little room for error, but smart shots can pay off with a decent score. 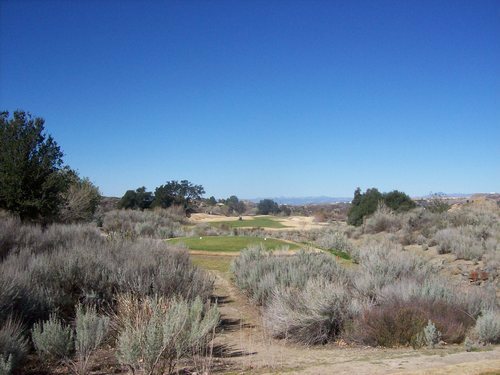 Though comparatively, I will say Valley is a little more “forgiving” off the tee than Mountain, it is by no means an easier course. It’s probably more difficult and is a very challenging track on all levels. 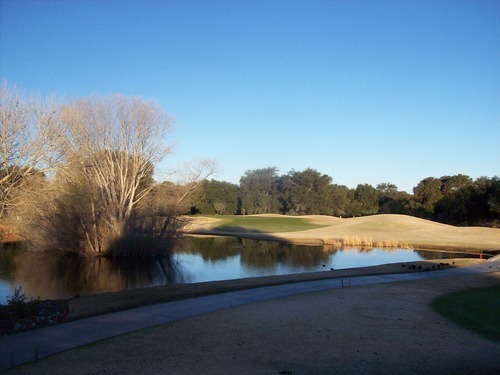 There is plenty of trouble to get into on every hole and the added length forces you to make tougher strategic decisions. 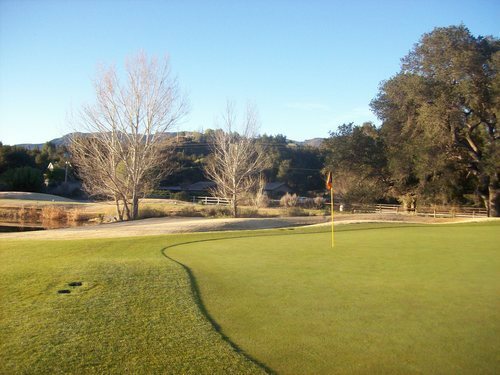 The fairway landing areas tend to be a little wider and the undulations are not quite as severe, but things tighten up quickly and there are plenty of uncomfortable shots you will have to take when navigating the Valley course. 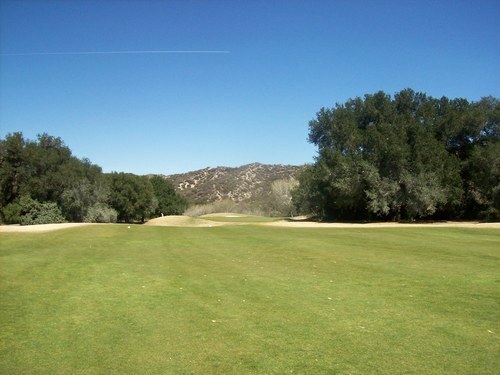 Several holes also have big old oak trees actually in the fairways that definitely get in your way and make you think. 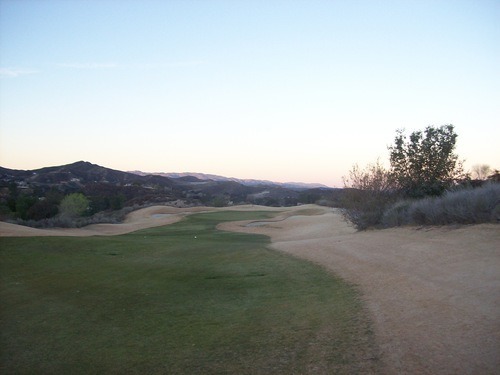 A stretch of holes on the back nine of the Valley course is nicknamed “Death Row,” so that should give you some idea of how tough this course can be. 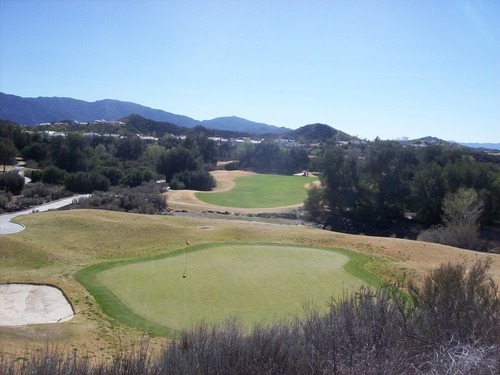 Between both courses, there is a nice variety of hole shapes and designs. 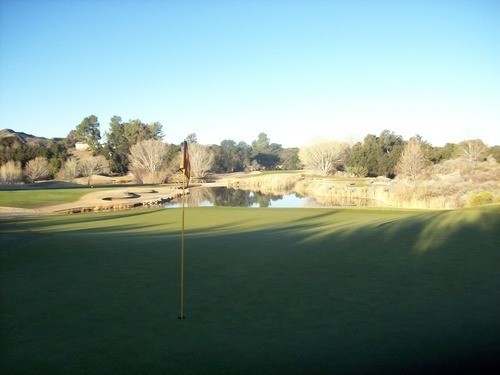 Though everything flows together well with a similar look and feel, no two holes play the same and it definitely keeps you on your toes. There are some short risk/reward holes and some longer holes. 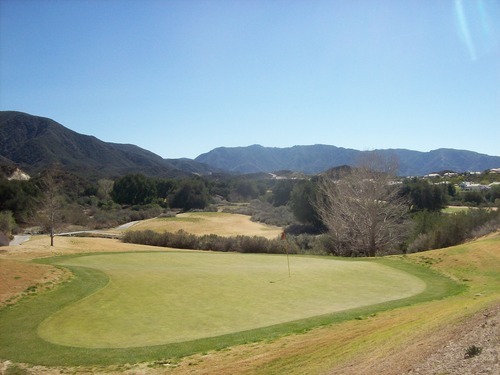 There are uphill shots, downhill shots, big doglegs, forced carries and all the features you’d expect on a good canyon style course. 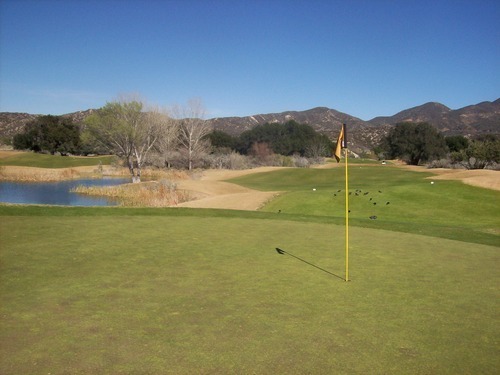 Robinson Ranch was in decent shape still coming out of a cold winter season. 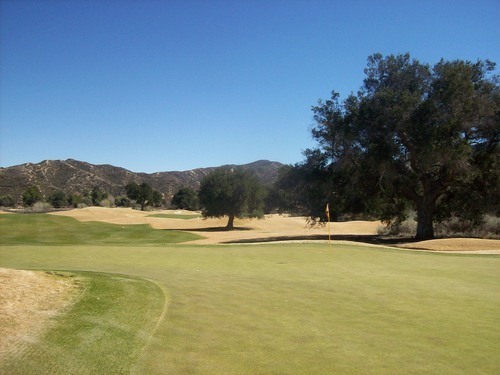 The fairways were lush and green for the most part, providing nice fluffy lies. 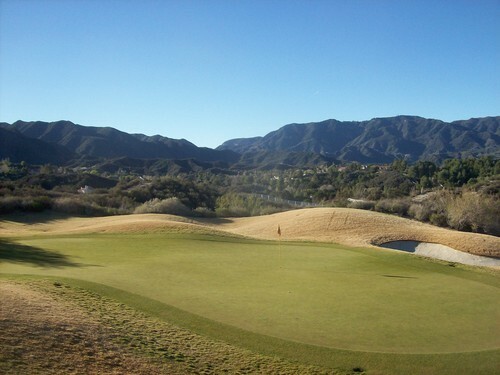 The rough was dormant and brown for a contrasted visual style, but the turf itself was inconsistent. It was patchy and clumpy, so lies generally weren’t that good. Sometimes you’d have a very thin lie and other times you would be nestled between two clumps of dry grass. 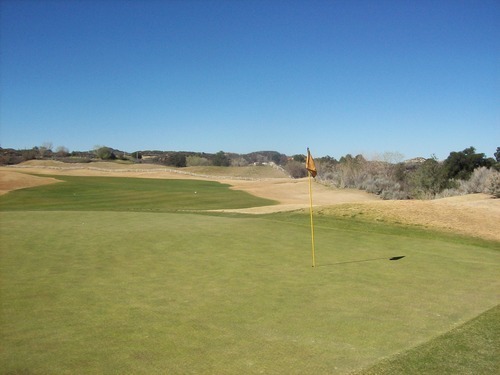 It was really shaved down, though, so the ball wouldn’t often stay in the rough. 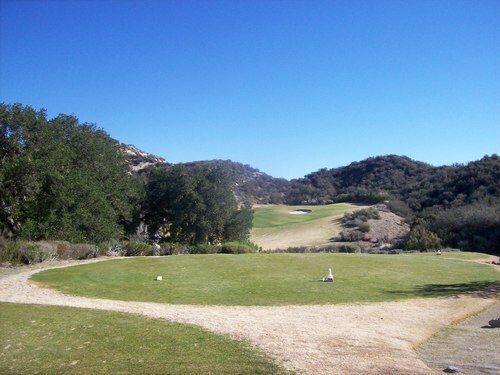 As mentioned earlier, it would often kick back into the fairway or off into trouble. 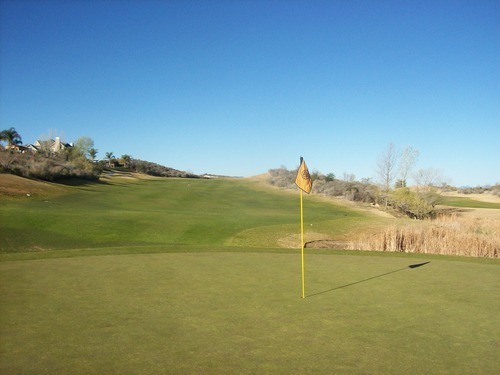 The greens were super firm and hard to hold on approaches, but they rolled smooth on putts at medium speeds. 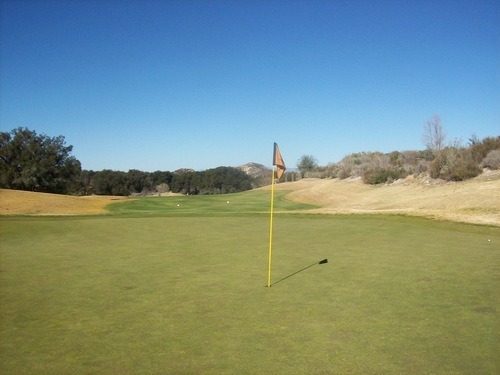 The Valley course’s greens were still recovering from a recent aeration, so they were still bumpy. 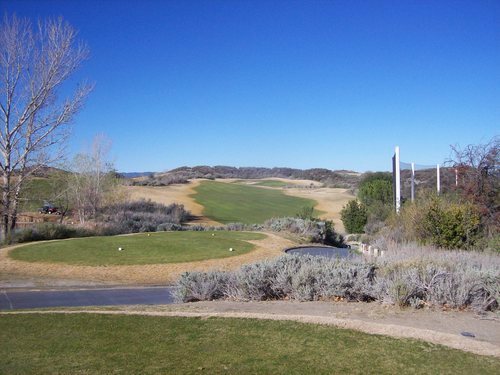 The Mountain course is set to be punched next week. The bunkers had nice sand throughout. What I liked was that the fairway bunkers were more packed down and firm, while the greenside traps were full of softer, deeper sand. Unfortunately, I noticed many of the greenside traps were getting torn up and bits the linings underneath were poking through the surface. They will need some work soon. 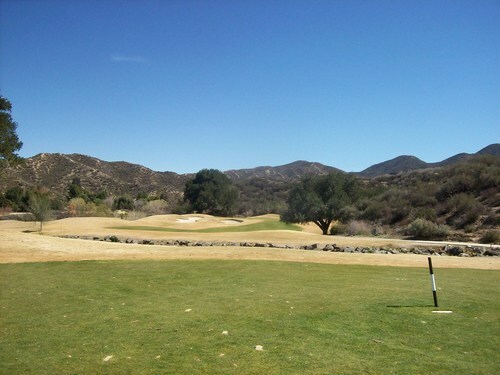 Overall, I’d definitely recommend Robinson Ranch. 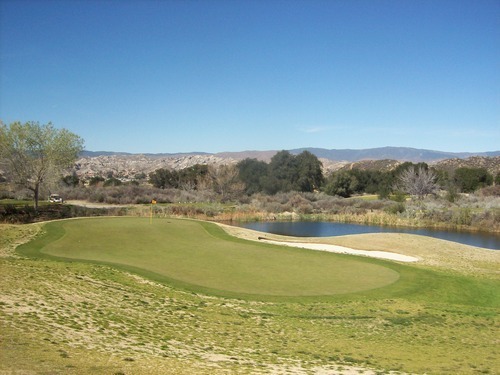 With the canyon style design, it is quite reminiscent of several courses throughout North San Diego County, South Orange County and parts of the Inland Empire. 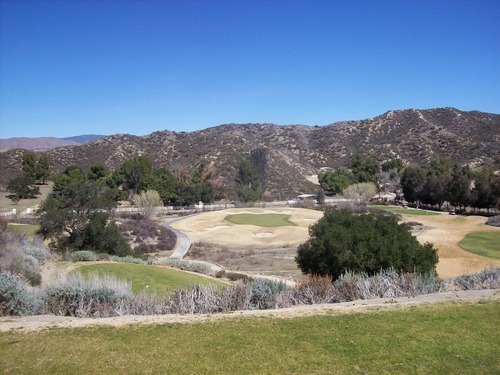 But for Los Angeles County, it stands out as a higher-end public play choice that’s worth a little bit of a drive up toward the Antelope Valley. Their normal weekend rates are a little too high in my opinion, but deals can often be found online and their weekday rates are also very reasonable. 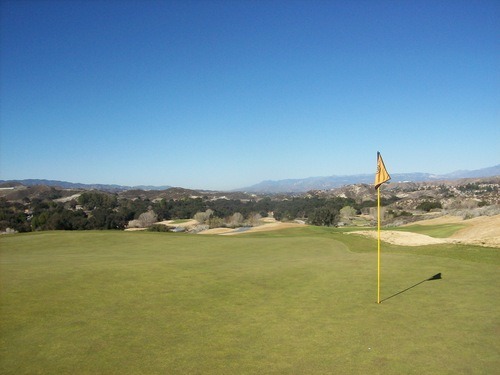 I definitely look forward to coming back and playing here again when the course is in peak season condition.